The judge said the ban was arbitrary and capricious, with too many loopholes and exemptions, because it applied to some but not all food establishments, and to some sweetened drinks, but not others. Read more in the March 13, 2013 issue of the New York Daily News. Mississippi ranks as the fattest state in the union, with an average of 35 percent of the adult population overweight. Governor Phil Bryant (R), of Mississippi signed a bill on March 18 banning restrictions on food portions. The Governor stated, “it’s not the role of government to micro-regulate citizens’ dietary decisions”. On his weekly WOR radio show, Bloomberg took a swipe at Governor Bryant, when he said, “You’ve got to love it. 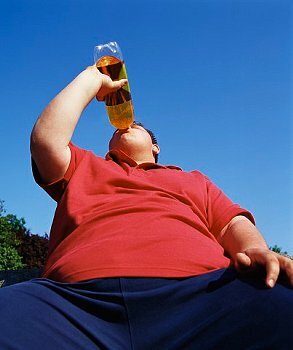 In the state with the highest rate of obesity, they passed a law that says you can’t do anything about it”. Prohibition doesn’t work. Look what happened when they tried banning alcohol, a beverage far more harmful than soda pop. People continued to produce and drink alcohol, and bootlegging became a massive industry under the control or organized crime. Public education is a better route than passing laws against soda pop. The Minnesota Dental Health Association’s website provides information about sugary drinks and tooth decay. More about sugary sports drinks, and dental health from Fox News, March 2006: Sports Drinks Tough On Teeth. Posted on March 20, 2013, in Health News, Overweight and Obesity and tagged Governor Phil Bryant, Mayor Bloomberg, obesity, soda ban, sugary soft drinks. Bookmark the permalink. Leave a comment.